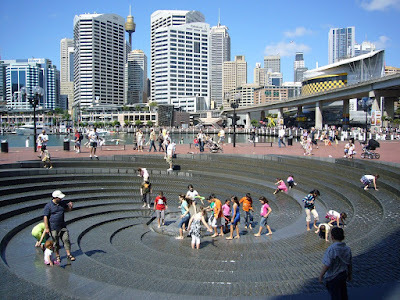 Two songs of Mr.Perfect - Rao Gaari Abbayi & Aakasam Badhalaina have been shot in Sydney, Australia. In this post we'll see about Rao Gaari Abbayi Song which has been shot at three major places in Sydney - near the Opera House/Sydney Harbour Bridge, The Sydney Harbour and St.Mary's Cathedral. 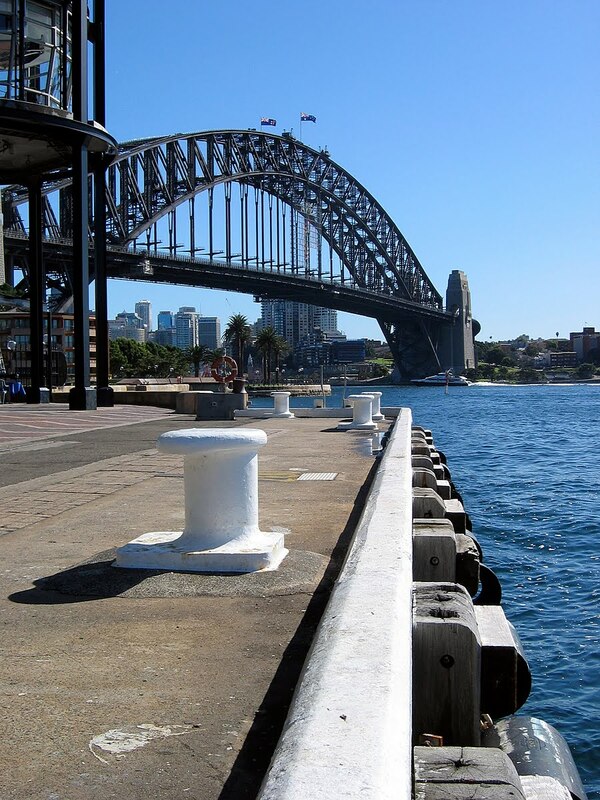 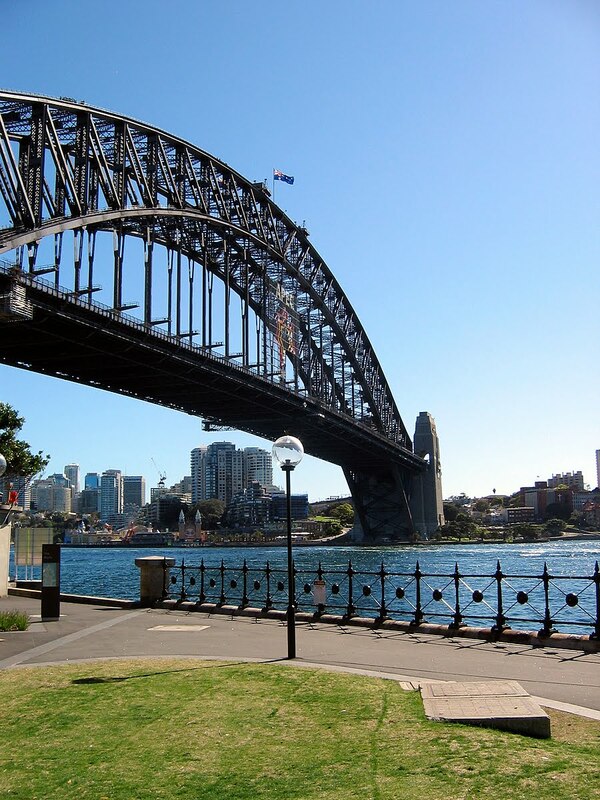 The initial part of the song has been shot at the Circular quay, the place between the Opera House and the Sydney Harbour Bridge. 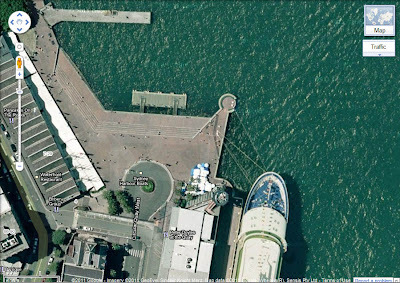 Here's an aerial view of the place. 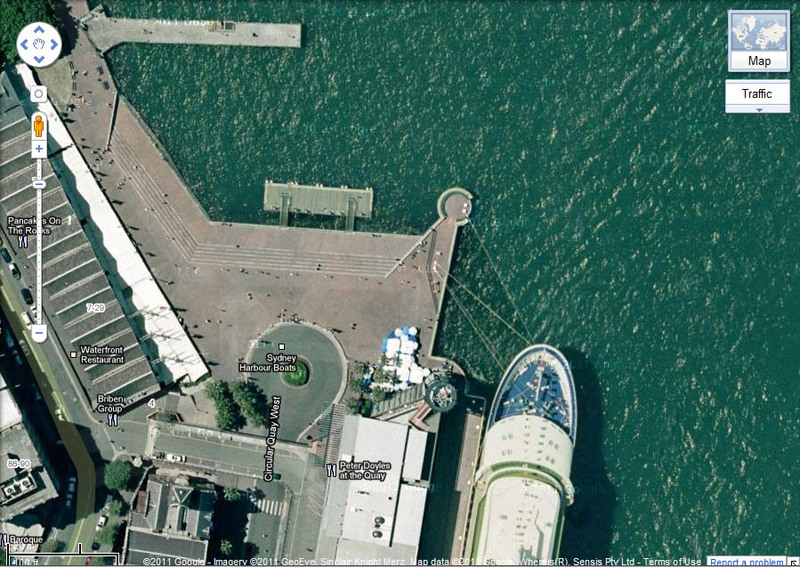 I hope you can locate the above place in the aerial photo below (more clearly visible in the full size). 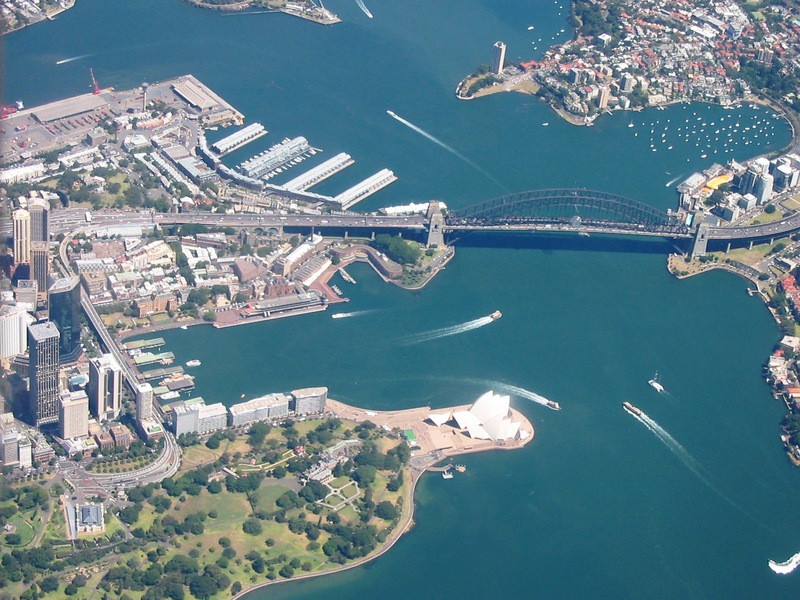 The Opera House is on the right and the Sydney Harbour Bridge on the left. 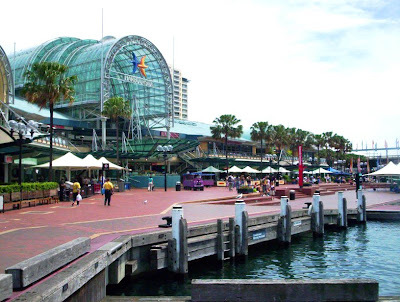 You'll see both these places in many shots of the song. 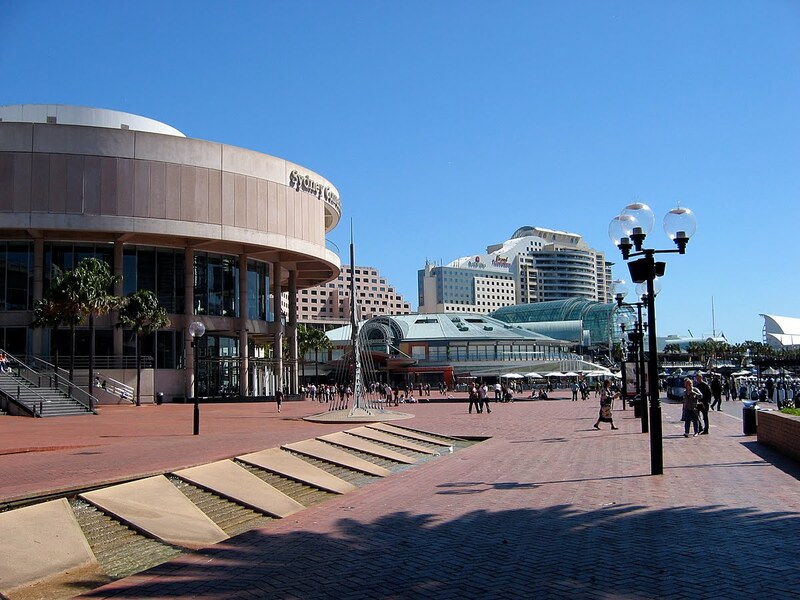 Though the Opera House seems very near, it's about 250mts from this place. 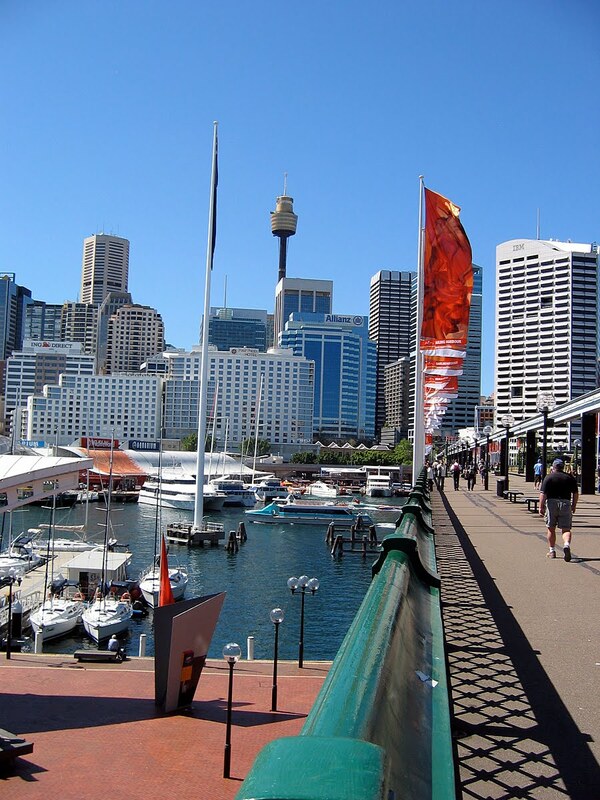 The next part of the song has been shot at the Sydney harbour. It was interesting to find that a part of the Sydney Harbour is called 'Darling Harbour' and the road leading to the harbour called 'Darling Drive'. 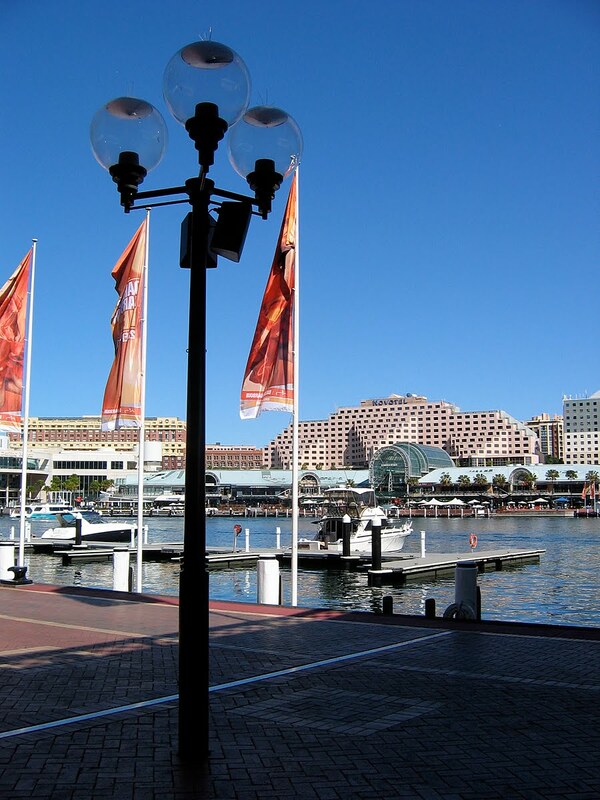 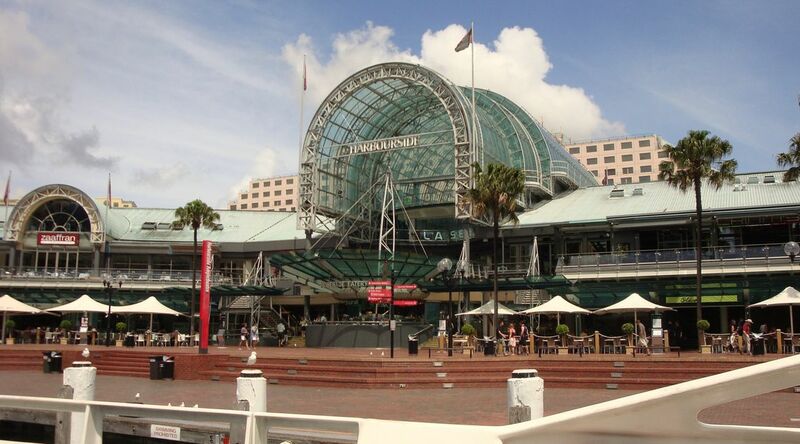 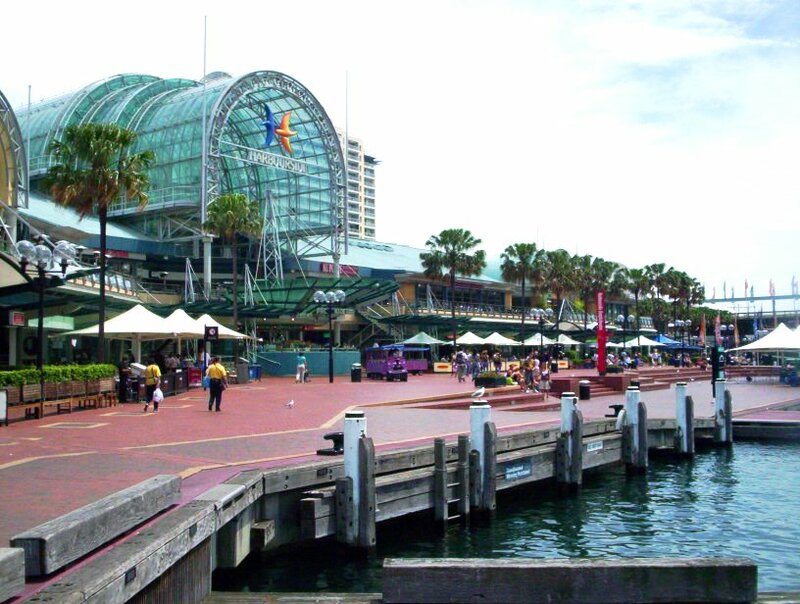 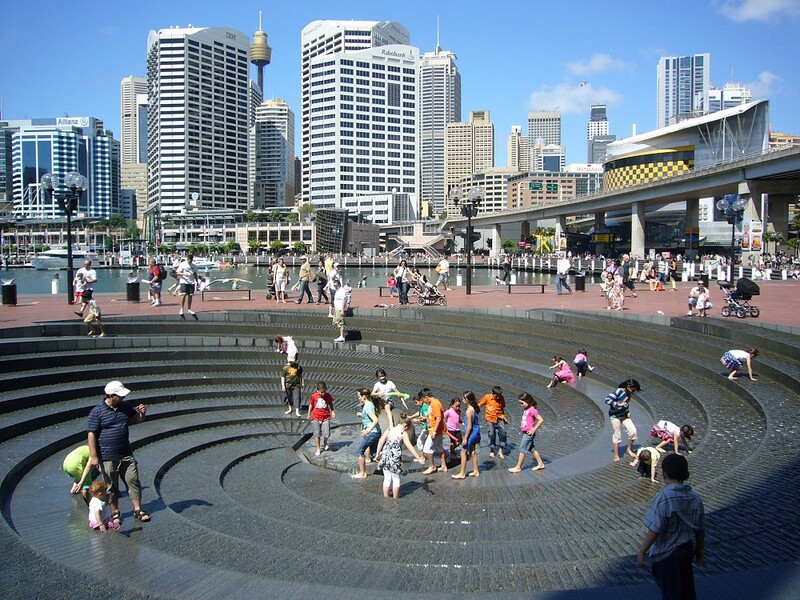 This scene is also shot at the Darling Harbour, Sydney. 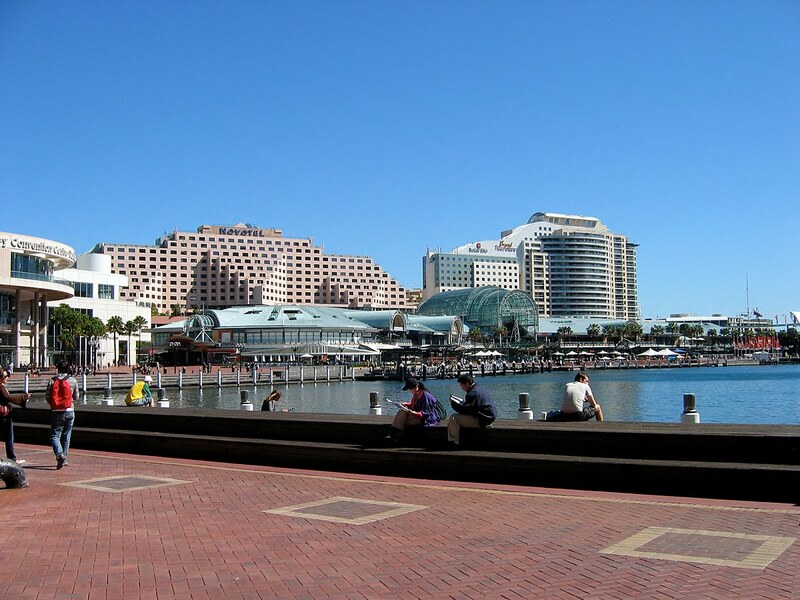 The yellow and black chequered building, seen in the background is the IMAX Theatre at the Sydney Harbour. 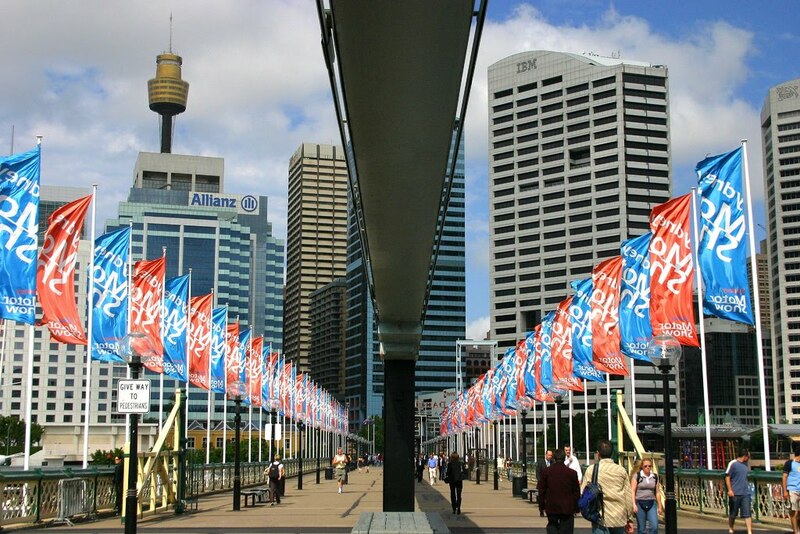 This scene is also from the Darling Harbour. 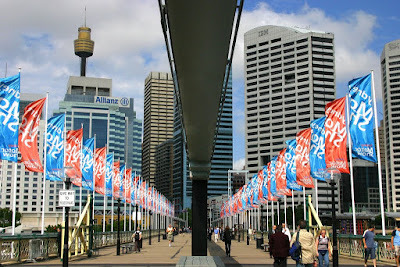 The bridge you see across is the Pyrmont Bridge where a few shots have been picturised. 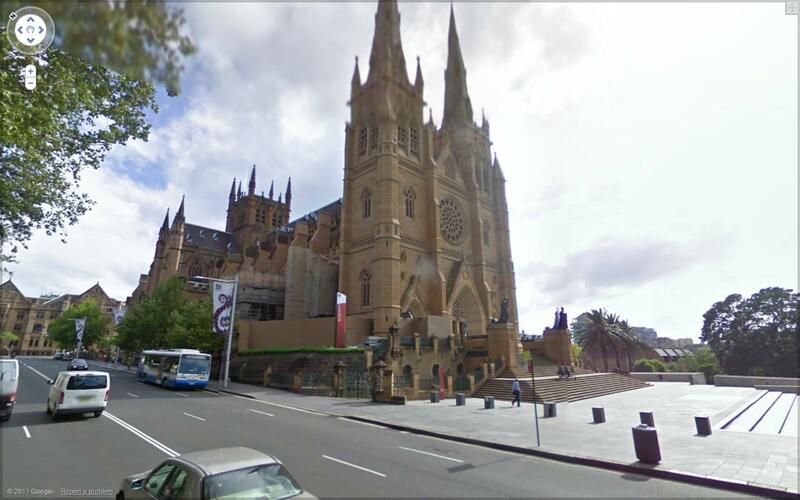 The church where Prabhas's friend in the movie Sagar (of Mogalirekulu fame) gets married is the St.Mary's Anglican Church at Waverly, in the suburbs of Sydney. 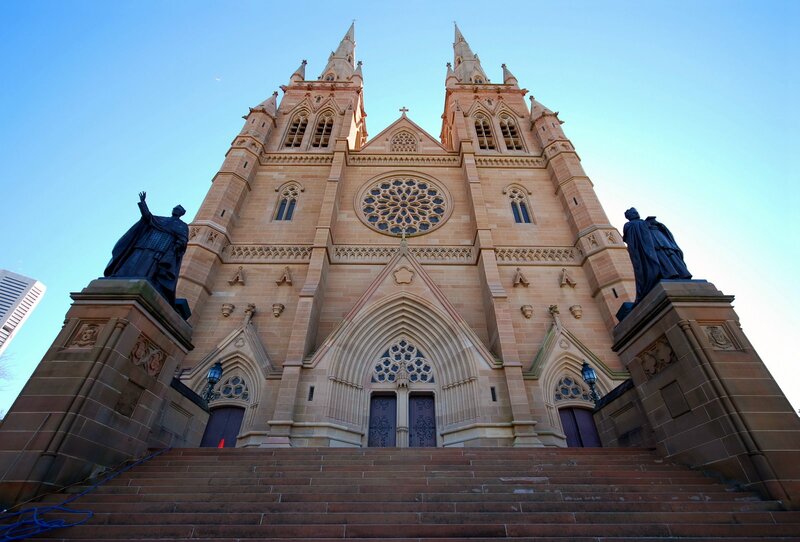 This church was built in 1880. The third part of the song is shot at the St.Mary's Cathedral at Sydney. 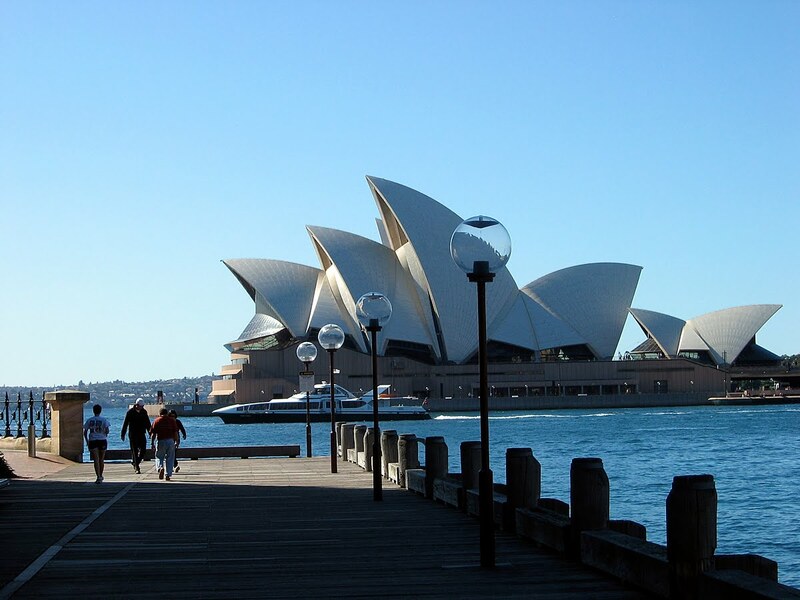 Now i will take a reverse and go to the very first scene of the song. 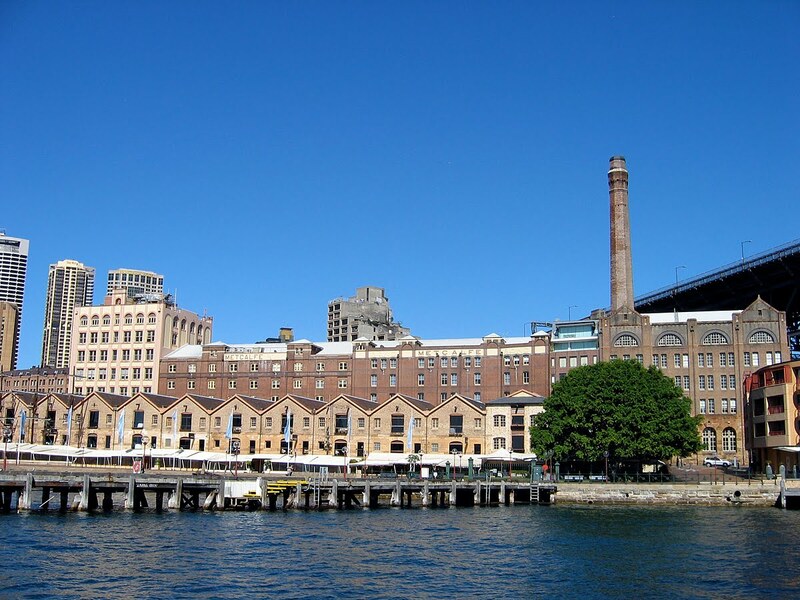 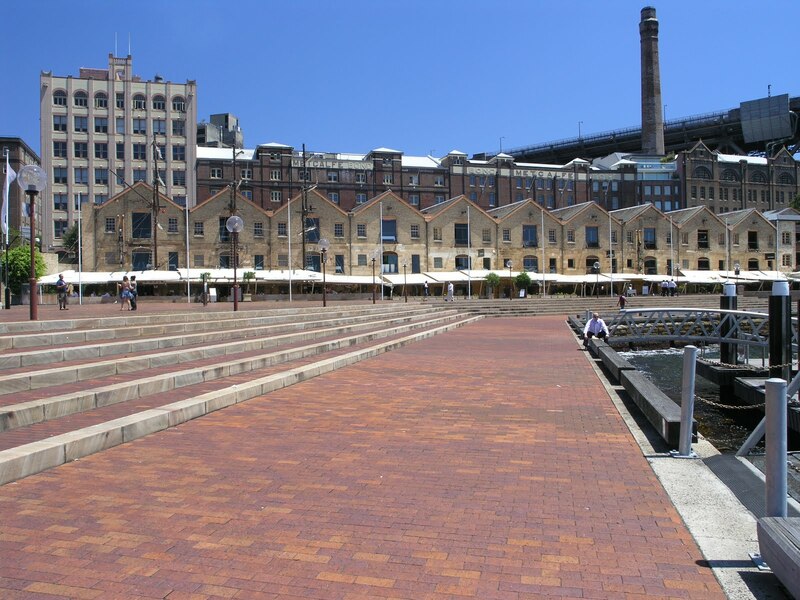 The buildings in the background are the old buildings in the 'Rocks'area of the Sydney Harbour. 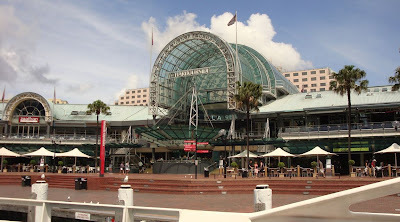 High Quality images of the locations in the gallery below.